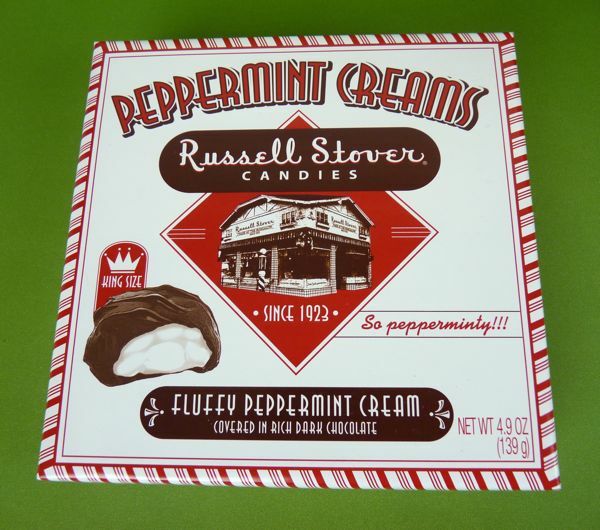 These large, glossy, dark chocolate Peppermint Creams from Russell Stover (Kansas City, MO) were filled with fluffy white peppermint centers. All was good with these, with one small exception: there was a very slight artificial taste to these. 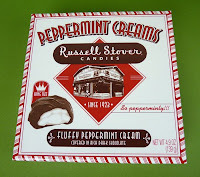 It could have been because this box dated back to the Christmas holidays, or due to the actual artificial flavoring listed in the ingredients. 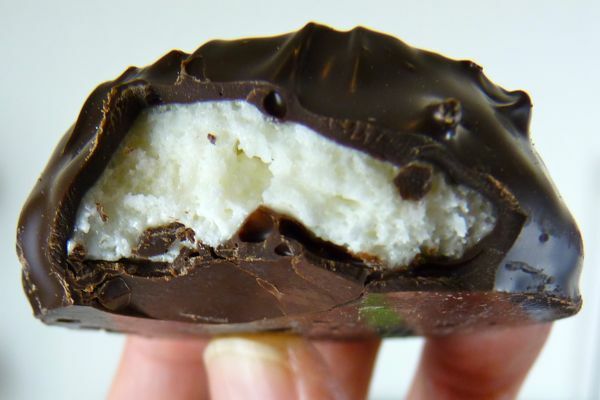 Regardless, there was nothing wrong with dark chocolate + minty fresh breath, all in one go. 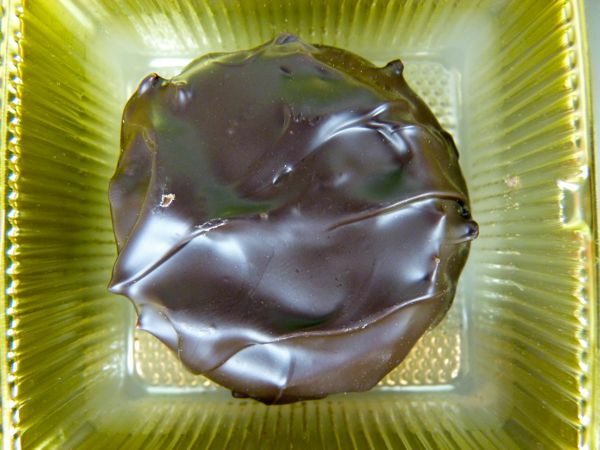 Today was Day #1 of Chocolate and Mint Theme Week.